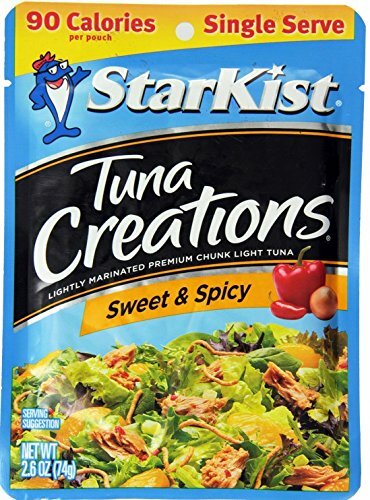 StarKist Tuna Creations Sweet & Spicy contains select cuts of premium chunk light tuna seasoned with spicy peppers, sweet onions and a delicious Asian style seasoning. Under 100 calories per Single Serve Pouch. This tuna will jazz up a lunchtime salad or make your sandwich really sing. It's even perfect for eating right out of the pouch. StarKist Tuna Creations Sweet and Spicy is naturally high in protein. It contains 170mg per serving of EPA and DHA Omega-3's combined which is 106% of the 160mg Daily Value for a combination of EPA and DHA. Natural Sea Skinless Boneless Pink Salmon - Salted, 6 Ounce - 12 per case.